Geo-referenced photo of the Great Plains in Montana. 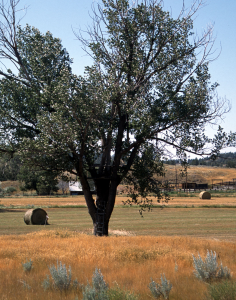 This arid prairie ecosystem photo is available from the USGS Land Cover Trends Field Photo Map. Nov 9, 2015 • [Source: USGS] The U.S. Geological Survey announced today that it has made part of a huge national repository of geographically referenced USGS field photographs publicly available. USGS geographers developed a simple, easy-to-use mapping portal called the Land Cover Trends Field Photo Map. The entire collection contains over 33,000 geo-referenced field photos with associated keywords describing the land-use and land-cover change processes taking place. Initially, nearly 13,000 photos from across the continental US will be available to the public, yet the online collection will grow as more processed photos become available. Sharing these unique field photos provides an excellent resource for the scientific community with potential to develop future research, such as future repeat photography projects or applications where photos may validate remote sensing classifications. Serving USGS data interactively to the public is integral to the USGS mission and provides opportunities for future scientific collaboration by communicating USGS land change research to the broader public and scientific community. “The benefit of these photos being hosted by the USGS is equal access to all without copyright concerns and quality control,” said Jason Sherba, USGS geographer and project web-developer. The photography was collected as part the USGS National Land Cover Trends Project, a research effort that spanned over ten years and represented one of USGS’ largest cross-center research efforts. The project employed Landsat imagery between 1973-2000 to derive rates, causes, and consequences of contemporary land use/land cover change. Photos were collected between 1999 and 2007 to serve as an aid in Landsat-derived land-use/land-cover change analyses and assessments. The map viewer was developed to present photographs within a land use/land cover change mapping context, yet photos may also be found on the USGS Earth Explorer website.